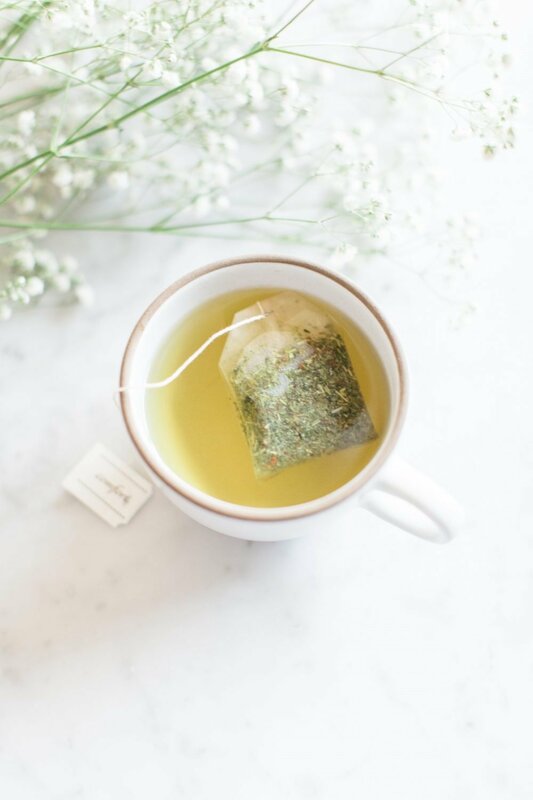 7 easy ways to practice self-care each day of the week! 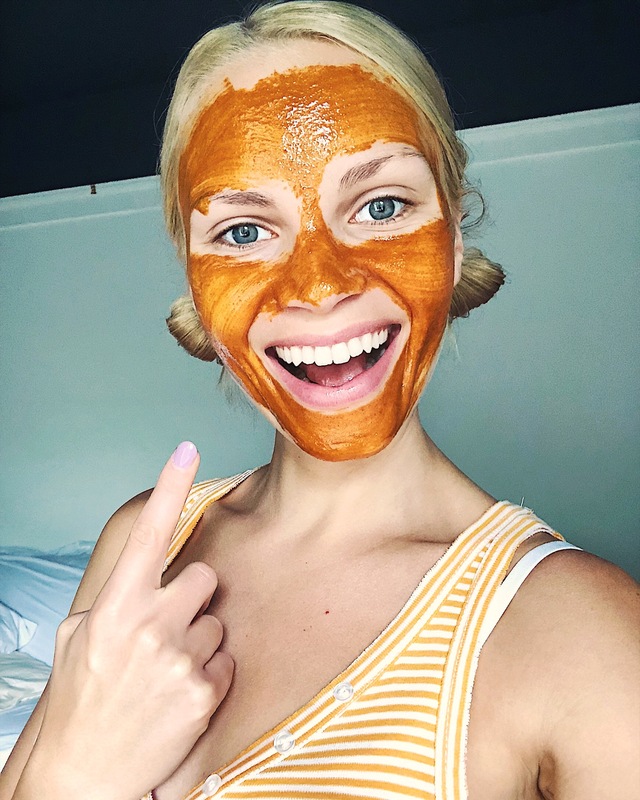 From pampering yourself with calming music and homemade face mask to treating yourself to healthy snacks and nourishing meals, this week-long self-care challenge can be done anytime, anywhere. This post is in partnership with siggi’s. When I think back to the times where I was really struggling with my body image and weight, I remember that I didn’t really take time to properly take care of myself or my needs. From the ages of 20-23 years old, I was rail thin, depressed, anxious and literally wasting away. From the ages of 24-26, I was obsessed with my body image and binged on foods endlessly. This unhealthy relationship with both food and my body led me into on and off bouts of depression and severe anxiety. My mind was consumed with food and exercise, and I didn’t make time for anything else. You can read more about my story here and also some background in this post. During my recovery process, I learned about self-care and the various forms it comes in: everything from meditation and reading self-help books to restorative yoga and seeing a therapist (who helped me more than I ever thought I needed). 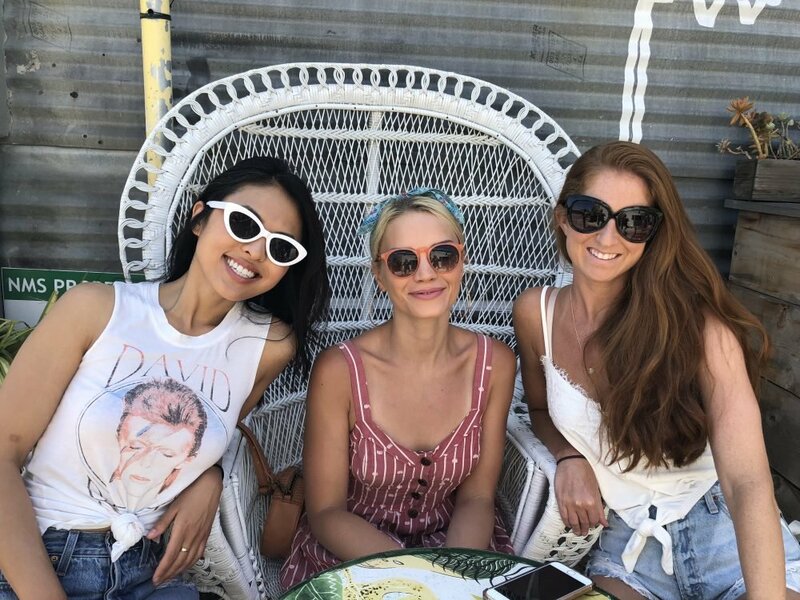 There were times I thought I’d never get over my eating disorder or be okay with my body and the skin I was in but along the way, I believe it was the simple forms of self-care that encouraged me to keep reaching and trying to get better. I learned how to be okay with who I was, even in moments where I felt like giving up. I was afloat, I wasn’t giving in, and I knew I could only get better if I really gave myself what I really needed. Over the years, I’ve learned that practicing simple and inexpensive forms of self-care every day has enriched my life in ways I never expected they could. I feel more authentic and happy and I’ve learned to respect my body (cellulite and all!) I no longer count calories. I don’t freak out when I go to restaurants. I don’t have a panic attack when I can’t get in a workout. I’ve learned to live a balanced life when it comes to my relationship with food. You see, when you balance rest, eating, work, and fun, you are an example for healthy living. When you treat yourself with kindness, even in times of doubt and hurt, it inspires compassion and understanding. Today on social media we see endless hashtags and stories of how women are out there taking care of themselves. But are we really giving ourselves what we need or are we simply doing it to ‘gram about it later? Do we take of ourselves because we want to, or do we take flower baths because it’s trendy? A valid question, don’t you think? 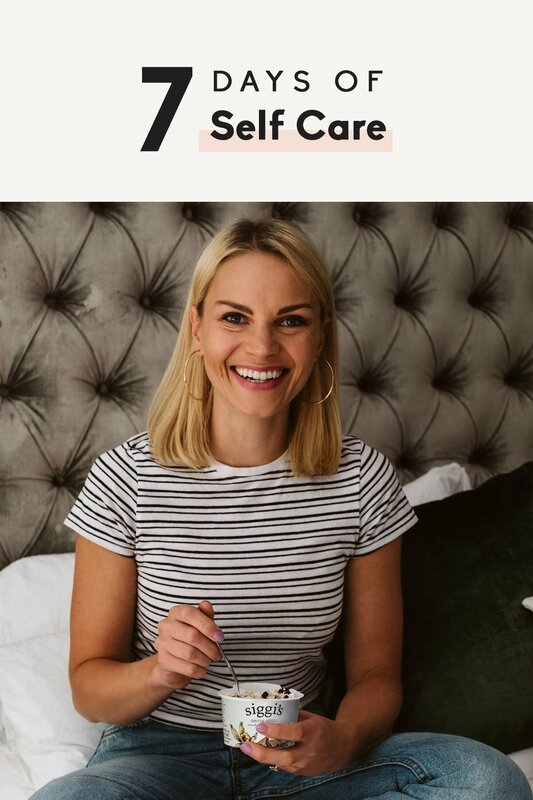 I wanted to create this 7 day self care challenge in partnership with siggi’s to inspire you in all areas of your life. I want to encourage you to practice self-compassion in a digital world that sets a constant standard of perfection in all areas: bodies, careers, motherhood, exercise, food, etc. 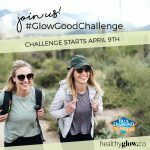 This challenge is proof that you don’t have to spend money or a lot of time each day taking care of yourself. Simply offer yourself a little bit of kindness and forgiveness every single day for a week. Allow the judgements to pass and try to practice giving yourself what you need in all areas of your life. You don’t have to put it on Instagram or get super fancy — this is just a challenge for you and you only. Monday: Eat Well + Nourish. 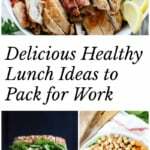 Set the tone of your week by planning healthy meals to enjoy and stocking your fridge with better-for-you snacks you can take on the go. Having meals prepared ahead of time is a great way to feel less overwhelmed when it comes to food. 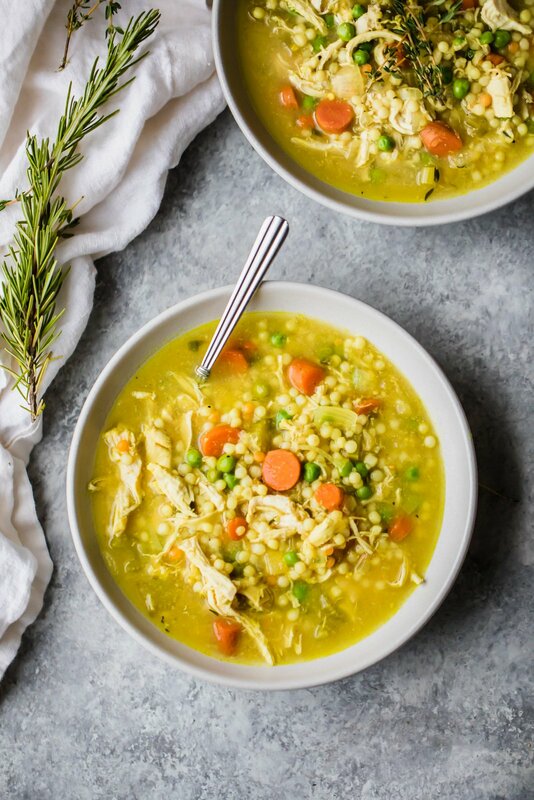 I suggest my blueberry overnight oats for breakfast, my thai quinoa salad for lunch and my best chicken soup ever for dinner. 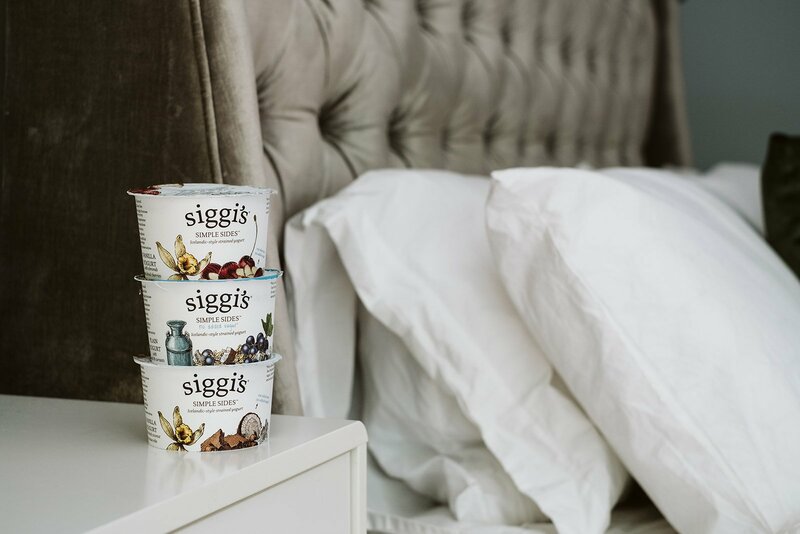 Snack suggestions: My favorite protein-packed snack lately is siggi’s new SIMPLE SIDES with no-added-sugar toppings. I tried them for the first time a couple of weeks ago and fell in love. The honey yogurt with dried figs and walnuts is SO GOOD! And the vanilla yogurt with dried coconut and cacao nibs makes a wonderful healthy dessert. 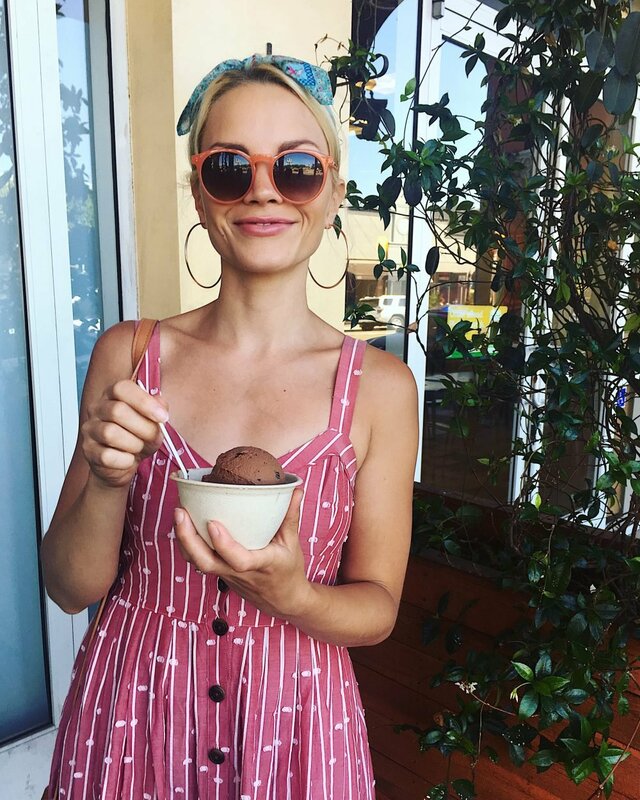 What’s great about these little treats is that they make wholesome, on-the-go snacking a no brainer, allowing me to focus on the rest of my busy day. Go on and give these a try on day 1 of your challenge! Tuesday: Technology Detox + Find Your Creativity. Put down your phone and turn off the TV. I can’t tell you how many times I’ve sat on my phone endlessly scrolling or googling random things that pop into my mind. It’s amazing how many other things you could be out in the world doing, or even spending time with the people you love. Today I encourage you to put away your phone, shut off the TV and connect with your creativity. Color for an hour, listen to music, read a book that’s been sitting on your shelf for too long, go to a cat cafe, paint — do anything that feels creative and interesting for you. You’ll see that nothing will change if you don’t have your phone, in fact, it can be liberating. P.S. here’s a really good playlist that I love. This is by far my favorite way to give myself a little TLC. Take a warm bath with epsom salts, put on your favorite playlist, use a fun scrub to give yourself a little massage, light a few candles and simply try and relax. 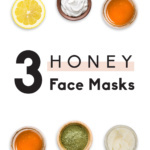 If you have extra time, treat yourself to a 15 minute DIY face mask — you’ll have fun mixing all the ingredients together! Thursday: Nighttime Routine + Catch Your Zzz’s. 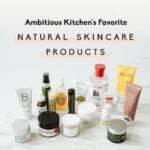 Developing a simple nighttime routine for yourself is such a wonderful way to wind down for the evening and create a peaceful sleep environment. Today encourage yourself to set a little time aside to do a nice skincare routine, drink a cup of tea (golden milk latte, anyone? ), read a book for 30 minutes and maybe even put some essential oils into a diffuser next to your bed. Zzzzzz, and you’re out! Go out to a new restaurant. Invite your friends over for a game night. Go bowling. Hang with your family. Catch up with a friend on the phone. Skype your mom. Dance the night away. Be with the people that make you happy! These are my besties. It’s the weekend and it’s time to celebrate your body by treating it good. Exercise creates feel-good endorphins and sometimes it only takes a little bit of movement for us to feel a little happier. In fact, did you know that exercise can be an effective treatment for anxiety and depression? I encourage you to do something that involves moving your body today. Perhaps picking a new spot to hike, walking around the city, biking on a new path, going to a yoga class, rock climbing or even doing a workout class you’ve never done before. Challenge yourself to move and get your blood flowing — you’ll feel great doing it. My favorite exercise lately has been yoga. Treat yourself to something good today. Is it an ice cream cone? A glass of rosé? A pedicure? 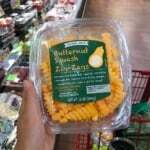 A trip to Whole Foods? A haircut? Shaving your legs? Putting new sheets on the bed? Maybe get that soft robe you’ve been wanting? Ordering a fancy coffee? A trip to Target, perhaps (ha!). Whatever feels good to you, do it. Treating yourself is something we should do and not feel guilty about it. This post is in partnership with siggi’s. Thanks for supporting the brand that help make AK possible! 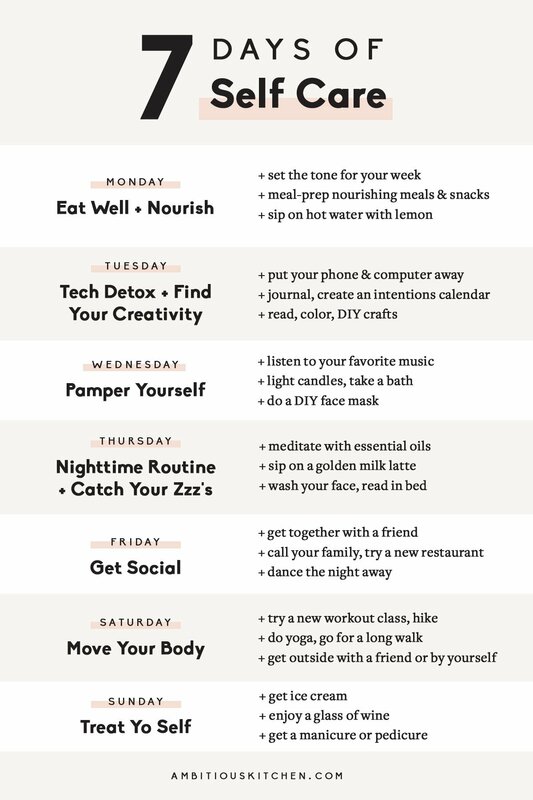 10 Responses to "7-Day Self Care Challenge"
Love this! We all need to treat ourselves better and remember that in order to help others, we need to help ourselves first! Truly love this vital challenge! A little something to look forward to every day this week! Goodness gracious! You young people need Jesus so badly. He alone gives us our worth (imago dei) and purpose, the love that fills our hungry souls and hearts.